I designed it to work like a 2d tilemap editor. 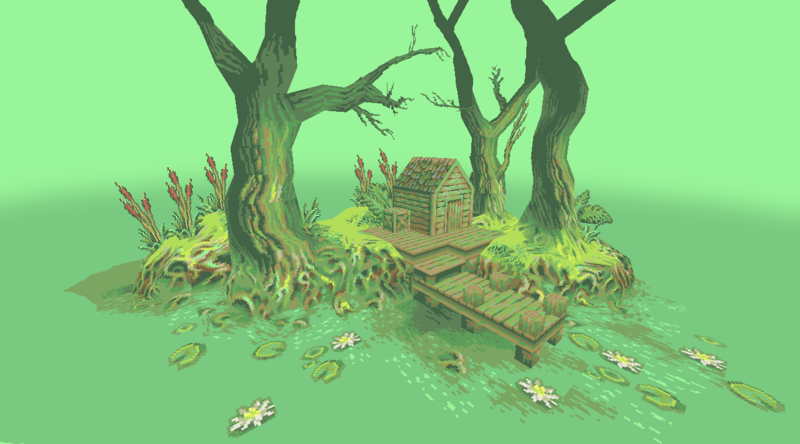 So you can easily create 3d scenes using tiles from tilesets (there's a video on the website showing how it works). It would be great if people can try it out and give me their feedback. You can download it for free to test it out. Also would be great to see what others create with it! Here are a couple examples I created! It definitely makes 3d more enjoyable for me. I'm very impressed by this. Can your files be easily ported into Blender and other such programs? Any chance of an OSX release? That looks really great for 3d stuff! It can export to .obj format which most programs support. I will be looking at implementing other export options in the future. As for an OSX release, I plan to setup a virtual machine to test that. If I can get it working, then yes. Thanks for the comments. If there is anything anyone doesn't like about the program or anything you think could be improved, that would be useful to know. I've become comfortable using it so it's difficult for me to look at it with fresh eyes. Looks interesting. I'll see if I can get it running in a Windows VM, later. Do you plan on supporting multiple keymaps? Because some of these keys are not very usable on Colemak layout: WASD, QE. I guess AZERTY users would also have problems with those combinations of keys. 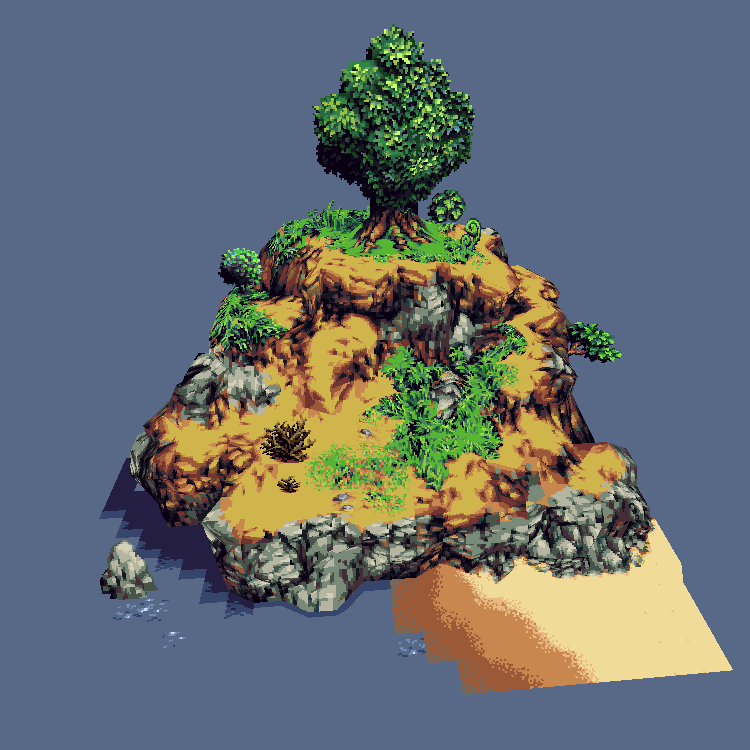 looks great, would love to see a panning shot of that island with the tree. hmm.. I hadn't thought about that. Perhaps I should allow the user the ability to configure which keys do what, if they need to. Would that be good? I would pay for an OSX version of this or a plugin for Cinema4D that does the same.